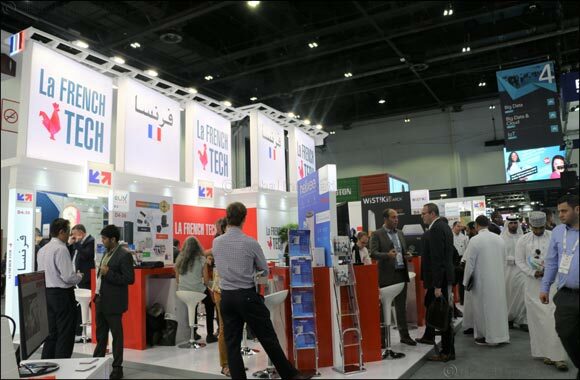 Dubai, UAE, October 01, 2018: Business France, the national agency supporting the international development of the French economy, is organizing the French Tech Pavilion on the occasion of the 38th annual edition of GITEX. This year, Amadeus, a leader in tourism and ticketing platforms will be the official partner of the French pavilion. It will reward the most innovative French exhibitor. In the top 5 of the most innovative country in the world, France is reinforcing its commitment to support regional initiatives such as the “Smart City” projects by bringing leaders in French technology to the exhibition. Business France will also introduce several French tech startups who will be present for the first time and looking to connect with other GCC techies. The French tech companies exhibiting at GITEX will be presenting their latest designs and inventions in relation to the Internet of Things, Artificial Intelligence, LIFI, and Fintech. There will also be a section dedicated to Blockchain and open source, such as Linagora and its Open Source Personal Assistant, Two-i and its emotion analysis and behavior prediction tools, Dejamobile and its contactless payment management software, Sowhen and its digital production and creation studio, and Foxynerds Studio for the analysis of emotions. “GITEX is one of the key events that we encourage French Tech companies to take a part in annually as it is a great way to strengthen their presence in the region. Several instrumental meetings have been organized on this occasion with potential partners from the UAE, KSA and Egypt. We look forward to welcoming visitors to the pavilion where our exhibitors will get a chance to interact with them at the reception area,” remarked Christelle Peyran, Regional Head of the Tech Division at Business France Middle East. France is a nation that nurtures innovation and sees the emergence of true national champions in tech coming out of various regions of the country and playing a vital role in the economy. For example, IoT alone will be a recording a turnover of € 15.2 billion in 2020 and the number of French start-ups exploring artificial intelligence has increased strongly in 2017, with more than 280 companies specialized in the field. The turnover of French start-ups also continues to grow, from € 3 billion in 2014 to € 4.2 billion in 2015. France spearheads technology and is home to 5 of the best 10 European Smart Cities. It is the leader in Europe when it comes to Research & Development and experimentation projects in smart grids - a € 505 million project - keeping it ahead of the United Kingdom, Germany, the United States and Spain. According to the UN, France is number one in Europe and the fourth globally in cultivating technology. It also ranks third globally as a leader in open data. French technology is also highly reputed and visible in the UAE, with the French Tech Hub in Dubai celebrating it’s second anniversary this year.